Saint Paul Winter Skate - Happy Hour, Skating & Networking! Join us for Skating, Drinks and networking at Saint Paul Winter Skate, outside of Landmark Center & Drinks to follow afterwards on Thursday, December 6th. This Happy Hour is an opportunity for you to connect with friends, while making connections with new colleagues and fellow MNFEA members. Come and go as you please between 5:00 p.m. and 7:30 p.m. Registration is complimentary for members, and $10 for future members and guests! 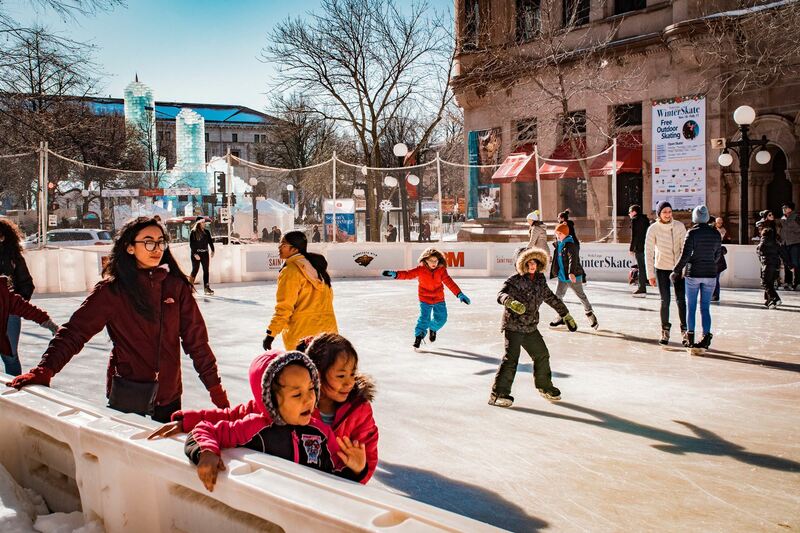 Complimentary skating, skate rental and hot cocoa at the rink starting at 5:00pm. Happy Hour to follow with appetizers included and cash bar available.